Printers are a necessity to print out text and graphics for most users. Cheap inkjet printers as well as photo printer deals from leading vendors such as HP, Canon, Epson, and Brother are listed in this section. Discount inkjet cartridges are a requirement when you are thinking about purchasing a new printer. The cost of compatible ink will eclipse the price you paid for the printer. Discount laser printers are extremely cost effective for those who mainly print in black and white. The cost per printed page is much lower than most inkjet printers. Toner deals and cheap compatible toner will help you save money over the life of the printer. 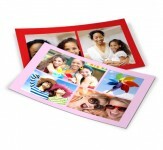 Many users leave printing of photos to printing service providers such as Shutterfly, Costco, and Snapfish. 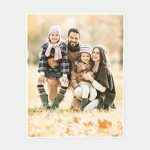 This is a more cost effective way of printing out photos, but requires you to wait for the pictures.